After waiting minutes nervously I emerged from the dark closet and looked around to regain my bearings. This area of the mall was completely alien to me all the years I've been exploring it. Surplus benches sit sideways, never again to seat shoppers. 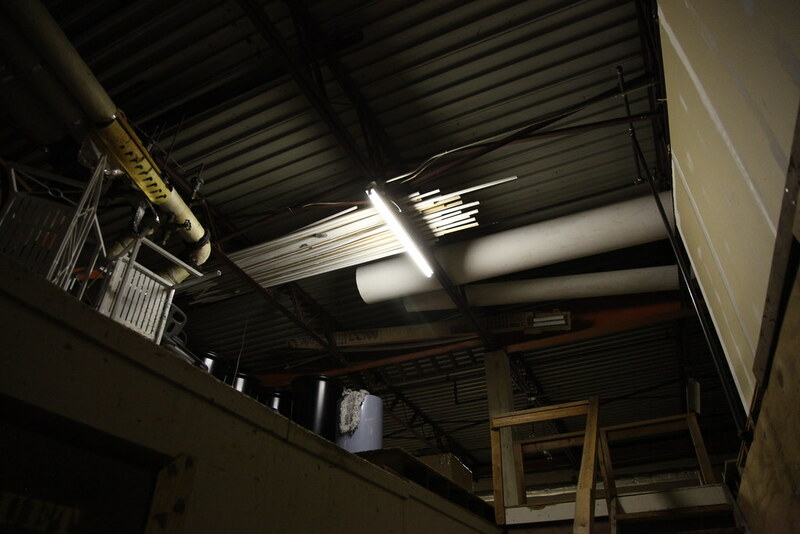 High up in the rafters was excess PVC pipe and a box of extremely long fluorescent tubes, perhaps 12 feet long or more.